Did you get your mammogram this year? 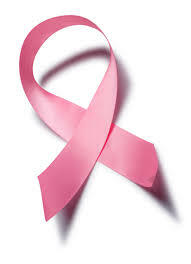 Reno Moms Blog Guest Post: Did You Get Your Mammogram This Year? I’m a Guest Contributor today on the Reno Moms Blog sharing Why a Facebook post got me off my rear to make my annual mammogram appointment. Did you get your mammogram this this year? For me, the anxiety started last week as I looked ahead on my calendar. My annual mammogram was coming up. It’s not the squishing and smashing and pulling I detest, rather it’s the unknown. When it comes to health, especially my own, it’s not what I can see and feel that gives me anxiety, it’s what I can’t see, and waiting for results that eat me up. I have no reason to believe anything should go wrong. I do self exams, although not as often as I should. I have no family history of breast cancer, both my mother and grandmother tested negative for the BRCA genes, and I don’t have dense breast tissue. What scares me is that I know or have friends who know someone exactly like me who found out they had cancer as as result of their mammogram. Click HERE to read the rest of the post on the Reno Mom’s Blog about Why a Facebook post got me off my rear to make my annual mammogram appointment. It’s Annual Mammogram Time – Are You ready? Exercise Induced Anxiety Attack or Just Out of Shape?